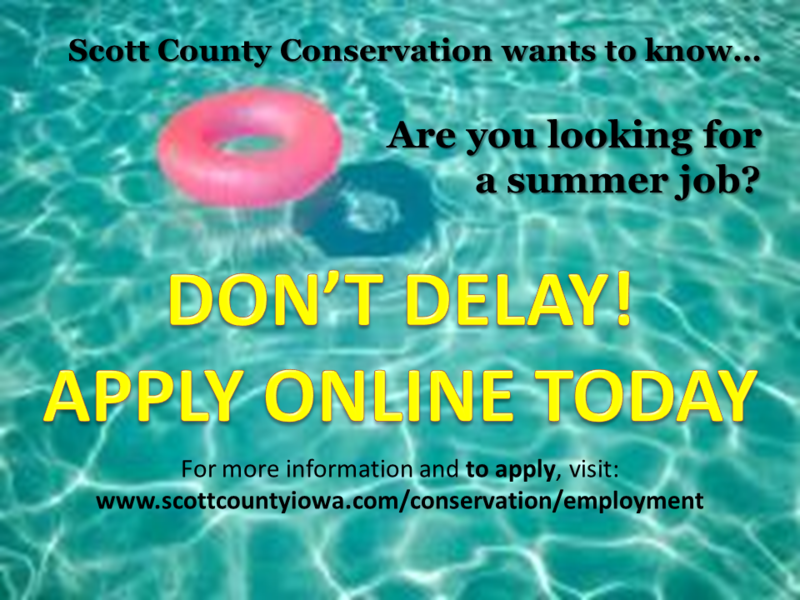 The Scott County Conservation Board has a variety of positions at our facilities. Seasonal positions: Can start as early as April and end as late as October depending upon the position, but most are for the period from Memorial Day to Labor Day. Salaries vary depending upon the type of position and experience or certifications. Applications accepted online only. Please check around February 1st for job postings. Scott County is accepting online applications for the following positions.